While Google has a history of giving Android tasty names for its version names, it seems that they aren’t the only ones that equate green robots with food. 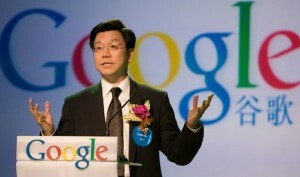 Today, ex-Google China president, Kai-Fu Lee, announced in the Wall Street Journal that he will launch a whole new mobile operating system based on Android, to be known as “Tapas“. This isn’t the first not-quite-Android OS that China has produced — that credit goes to China Mobile’s OPhone — but Kai-Fu Lee believes that the new modifications — namely software that detects what city incoming calls are coming from, contacts that sync with Chinese social networks, and a music player that downloads and displays sing lyrics, karaoke style — will make his new OS stand out above the competition. Sharp, Haier, and Tianyu agree with him, and have signed on as hardware partners. I’m not sure why these modifications require a whole new OS, but who am I to question the ex-president of Google China? I’m certainly curious to see how this project pans out.